One of the hallmarks of a nascent industry is a lack of widespread consensus regarding concepts, definitions, terms, and nomenclatures. Perhaps in no other field is this more evident than in the current state of blockchain. Regulators worldwide are wrapping their heads around the new technology, the inner-workings of distributed consensus protocols, all attempting to arrive at a definition for this new asset class. Lawyers, too, seek to understand and classify objects which have no pre-existing classification. The unprecedented nature of this disruptive technology — and the scarce assets born out of it — poses a new and rather intimidating challenge to society at large. The fatal error we must watch out for, however, and we will illustrate all too many are falling prey to, is trying to shoehorn old terms onto new ideas. This is never a workable method, and we should think critically about what we are trying to do. Specifically, what is the economic essence of this technology? If we can’t answer this question, we risk even more confusion and an ever-slower adoption of this magnificent tech. So what are these new assets all about then? Is Bitcoin a currency or a commodity? Can it really be considered an asset? Is Ethereum’s ether a security or just a token? A utility token or something else? Almost ten years have elapsed since the inception of Bitcoin, and we still cannot precisely define what is going on in this industry. To make matters worse, the experts in the field, the early adopters, and even the creators themselves, don’t at all agree with the definitions and terms employed. Ask any number of specialists in blockchain technology, and we guarantee you will find an abundance of contradicting definitions for seemingly the exact same phenomenon. Often times, this problem stems from the tendency of each party to classify cryptotokens from their own perspective, or field of knowledge. Programmers tend to define them from a technological point of view, investors from an investment use-case, lawyers from a legalistic one. As we’ll detail below, the recent Consensus 2018 conference held in the city of New York was quite illustrative. Several prominent figures in the space voiced their own views, definitions, and terminologies, sharing nothing but one common theme: a lack of consensus (bad pun intended). Thus, instead of critiquing, overriding, and attempting to replace existing definitions with an all-encompassing one, we’ll offer an economic classification of cryptotokens. There are long-established characteristics, from an economic standpoint, which can be examined and used to classify cryptotokens into definite umbrellas and sub-categories. What follows then, is an attempt to provide some clarity and definitions in hope that it may advance the whole field, helping anyone involved with blockchain technology make sense of what we are dealing with. Before proceeding, certainly note that this is not a qualitative analysis of any cryptotoken, nor an opinion on whether a given token makes any technological or market sense. Bitcoin was the original name for the technology, a protocol, where consensus (or trust) could be achieved in a decentralized fashion by having participants stake computational effort and energy in return for the network’s native token, forming a chain of blocks of transactions which would be linked to one another through an unfalsifiable cryptographic proof of work. Later, the community of enthusiasts started naming this proof-of-work chain simply “block chain” and then “blockchain”, creating a new term which referred to the replicated and shared ledger of Bitcoin’s transaction history. In the case of Bitcoin, the tech and the token share the same name. We use a lower-case “b”, however, when referring to individual units, or bitcoins. In other protocols the unit of account may have a different name, as in the Ethereum protocol, where the native token is called ether. 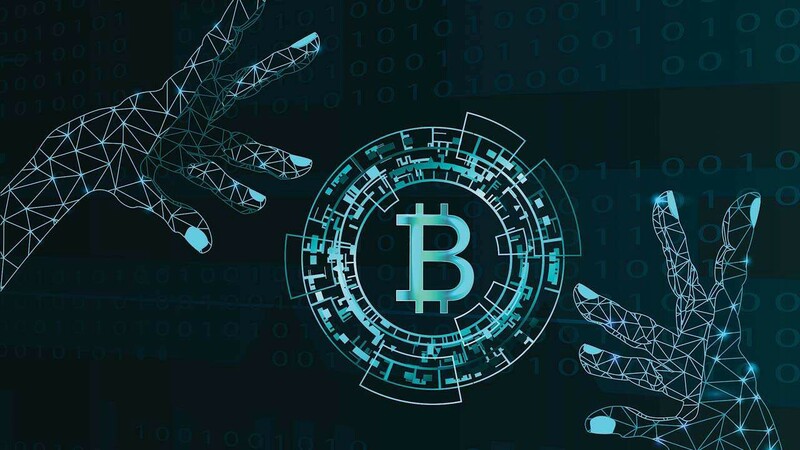 Nowadays, Bitcoin and its main usage (electronic cash or digital gold) are considered merely an application of a more general purpose technology, called blockchain. Blockchain technology could be defined as any software, ledger, or peer-to-peer protocol where consensus on the ledger’s state and change of state is achieved in a decentralized fashion. Most blockchains accomplish this feature with a Proof-of-Work algorithm, others with Proof-of-Stake, and some with a hybrid alternative. The main characteristic of such blockchains is achieving consensus through decentralization. Security then emerges from this operational model: open access, public, and transparent. At present, there is also a variant of blockchain technology in which consensus is achieved centrally, or through vetted participants or leaders. In this model, trust is placed on identifiable parties, and a native token is actually unnecessary. These are called private or permissioned blockchains, where the security or governance model is neither innovative nor disruptive. Critics argue such protocols shouldn’t even be considered blockchains — perhaps “distributed ledger technology” is a more apt term — but that is a discussion for another time. What is a cryptographic token or cryptotoken? To be able to define something, it is essential to understand its nature. A cryptographic token is a transferable unit registered on the network’s shared ledger. In the case of Bitcoin, tokens are forever registered on its native blockchain. From a code perspective, a Bitcoin token is an unspent transaction output (UTXO). UTXOs are indivisible bitcoin units recorded on the blockchain, cryptographically linked to a specific public key. Whoever holds the private key associated with this public key is able to provide a valid transaction to the network, transferring the tokens to any other public key. A valid transaction is a digitally signed message, cryptographically verifiable by any computer. In other blockchains, the technical construct for each token might differ. The specificities in each case are irrelevant for our subject matter. It suffices to understand that cryptotokens are tradable, unfalsifiable units, that cannot be copied and can be owned by whomever holds the associated signing keys. No additional reductionism can contribute to this simple notion. Cryptotokens are thus scarce digital objects that can be owned and valued by individuals. Cryptotokens can be presumably be subdivided into many different kinds of tokens. Unsurprisingly, the subclassifications provided by industry players, specialists, and regulators vary immensely. Much focus has been directed at the dichotomy of “utility” vs “security”. Such a distinction is not only inadequate, but also confounding, since judging a token a security is an altogether separate analysis dependent on regulatory practice and law, rather than technological form or inherent, economic nature. Other attempts to subclassify tokens have also been unfruitful. In a recently published piece, accounting firm PricewaterhouseCoopers identified four different types: cryptocurrency, utility token, security token, and asset token. One could easily argue a cryptocurrency may also be considered not only an asset, but a utility token as well, rendering PwC’s classification impractical. At a session entitled “World of Tokens” during Consensus 2018, host Ryan Selkis offered his perspective on the taxonomy of cryptoassets, identifying three types: cryptocurrencies, utility tokens, and cryptosecurities. Soon after, Alex Tapscott took the stage and shared seven possible types of cryptoassets, as will be published in the upcoming revised edition of his book Blockchain Revolution (co-authored with his father Don): cryptocurrencies, platforms, utility tokens, security tokens, natural asset tokens, crypto-collectibles, and crypto-fiat currencies & stablecoins. Following Tapscott, panelist Alex Sunnarborg, from Tetras Capital, added his own version, distinguishing among three main types of tokens: currencies, dapps, and dapp platforms. Had we investigated further, we certainly would find a greater array of definitions being freely employed at this annual, industry-leading conference. There’s simply no clear consensus regarding the categorization of cryptotokens, even more so because each participant tends to view and classify them according to their own line of work. That does not necessarily mean each and every categorization is wrong; however, there is room for more rigorous analysis. From an economic perspective, it’s possible to narrow it down. Additionally, there’s no need to come up with new and different token classifications everytime an innovative project is launched. We propose that, from an economic standpoint, cryptotokens are always either utility tokens or proxy tokens. For reasons which will become clear below, this is a much simpler, yet more precise definition which encompasses all forms of tokens in the blockchain world. This economic classification is also useful for lawyers, accountants, and other professionals whose fields intersect with cryptotokens and blockchains. Distinguishing between a utility token or a proxy token should be the first step in the hope for an adequate and balanced approach from regulators, law enforcement, lawyers, and authorities in general. So what makes a tradable unit recorded on a blockchain a “utility token”? The term “utility” as applied to tokens is quite a useful and defining characteristic. The token is demanded and valued in its own right, for its utility provided. A utility token is the final good; it is the asset itself. As for a question such as “what can you actually do with it?” — this is another thing altogether. Tokens can be demanded and valued merely as digital collectibles, as Bitcoin most likely was when it had no preexistent market price. The term “intrinsic utility” therefore can be tricky, which is why we avoid it deliberately. CryptoKitties tokens can also be considered a strain of the digital collectible variety — digital “pets” that afford no other utility except enabling admiration from their rightful owner for their “digital cuteness”. Some tokens are called “app coins” because they supposedly play an essential role on their respective network. An app coin may take the form as a fuel to be consumed, or a fee to be paid, so a smart contract or operation can run on the network. It is possible that app coins can be accepted (or required) as payment for a useful service on a blockchain. The use cases a token can have on a blockchain may (and will) vary. However, whether these tokens are considered a finished product, a digital object, a service, or a digital resource, the indisputable characteristic of all is their consumption in their own right, according to their own properties, natively on the blockchain. Utility tokens are the merchandise, the very product being demanded by the user, and as such they depend on no exogenous source of value. There is no underlying asset. A utility token represents no other object than itself. By this definition then, we can see that the units of bitcoin, ether, litecoin, monero, zcash — and most other tokens usually referred to as “cryptocurrencies” — in fact fall under this utility token umbrella. More on this later on. The same reasoning applies to Ripple’s irredeemable token (XRP), despite having an identifiable issuer and a rather centralized ledger. With this understanding, any functional application token (“app coin”) and any digital asset demanded for its medium of exchange or store of value properties is quite clearly identifiable as a utility token. What about ERC20 tokens then? It does get a bit murkier here, admittedly. Augur’s REP token, for example, is still very much a utility token, as its usage and demand is an integral function of how their prediction market operates. On the other hand, an ERC20 token representing a future blockchain project which is not yet live, such as was the case for EOS until June 2018, should be understood as a proxy token, which bring us to the second classification. Proxy tokens are digital representations of anything external to the token. The digital token typically represents something in the physical world (or even digital world, as we will get to). As such, it is valued for the underlying asset or object which it represents, and not for its technological form (that being a “blockchain tradable unit”). These tokens could be thought of as tokenized certificates or claims, which can attest titles to property or other rights, serving as evidence of ownership. A proxy token is not a good itself, but purely a digital representation of some underlying good. The commonly referred to “digitization of assets”, then, is a (long) process which converts the claims of and rights to underlying physical assets from (typically) centralized issuers and ledgers, into digital tokens on (typically decentralized) blockchains. Tethers are certainly one of the most relevant proxy tokens in the crypto space. Tethers are backed by national fiat currencies (USDT for dollars, EURT for euros), one for one, which can be redeemed by whomever holds the tokens. Another example comes from Britain’s Royal Mint, which, in 2016, partnered with CME Group, AlphaPoint, and BitGo to develop a tokenized gram of gold called RMG. Future token holders will have the right to redeem in specie on demand, and until then will have the security of their gold under the custodianship of the Royal Mint, controlled by tokenized, proxy records. Digix Global is doing something similar with their DGX token (ERC20) on Ethereum. Others are pursuing this demandable gold market “on blockchain” as well. A token that grants the right to a future utility token should also be viewed as a proxy token. There are several tokens being marketed as “utility tokens” that are not yet usable or functional at all, they solely grant the right to a future “utility token”. The SAFT Project (Simple Agreement for Future Tokens) labels these as “pre-functional utility tokens”. A more apt term, however, would be “proxy token”, as put forth here, since “pre-functional utility tokens” can take the form of temporary tokens which will cease to exist once they transmute into actually functioning tokens on the live blockchain — again, EOS on Ethereum, before June 2018, is a perfect case in point. Such proxy tokens do have a high likelihood of being classified as securities, as will be elaborated further below. Smart contracts can also be classified under the umbrella of proxy tokens, as can insurance policies, derivatives, carbon credits, and several other financial instruments. A contract is an agreement which can be verbal, written in paper or in digital form, or embedded in a cryptotoken. As such, a smart contract token is valued not for its technological form, but for its underlying business or contract logic — again, typically governing an underlying asset or contract (i.e. storage and allocation of gold, insurance protection, hedge on a future commodity price, etc.) that is not the proxy token itself. Therefore, a proxy token can also serve as replacement of traditional equity investment in companies and projects, where the token represents partnership or ownership. In this case, the next-level classification of “security” would rightly apply — more on this below. Debt too can be issued as proxy tokens. Last January, Telefonica Deutschland AG announced the issuance of promissory notes in a combination of traditional placement and a blockchain tranche. Tokenizing physical assets and objects is a growing trend. These are all simply proxies. Real estate, fine art, mineral and agricultural commodities, appliances, automobiles… the possibilities are endless. Whether tokens are representing a future utility token, a piece of real estate, or equity in a given company, its defining characteristic is that its demand and value is a function of the underlying asset, good, or contract. A litmus test to identify if a cryptotoken falls under the umbrella of utility or proxy is by determining whether the token could take another digital or physical form and still retain its inherent economic characteristic(s). For instance, a bitcoin is only a bitcoin if its token (UTXO) is registered on its blockchain, and it simply cannot take any other shape or form. However, a derivative contract, a tokenized gram of gold, a tokenized deed to a house, or a USD tether can all take the form of an ordinary certificate (digital or paper) registered on any centralized database, or logged in any auditor’s physical record book, and they would retain their economic characteristics. In the physical world, ownership doesn’t mean control, and control (or possession) may not imply ownership. With digital assets, however, these concepts are often intertwined, and with a high probability it will only become moreso. You may live at a certain house and have full control of the keys (you rent), but that says nothing about who the property actually belongs to (your landlord). In today’s world, ownership must be verified through property deeds and local registries (by a third party). With bearer assets (i.e. cash), on the other hand, possession and control do imply proprietary rights. The same goes for digital assets such as bitcoin, litecoin, and others, which are all digital bearer assets. Holding private keys enables one to control bitcoins and serves as proof of ownership. Utility tokens are therefore digital bearer assets. Proxy tokens are bearer certificates or contracts, since they are not the underlying asset, but rather its tokenized representation, implying certain rights and privileges in the physical or digital world. In that sense, both utility and proxy tokens are bearer instruments; a utility token is an asset native to its environment, a proxy token merely a certificate or a contract of representation. The former (utility) is clearly governed by possession, whereas the latter (proxy) is actually just streamlining old legal concepts such as right of possession and right of property. Proxy tokens depend on mere business or contract logic, such as equity terms, debt arrangements, financial contracts, etc., whereas bearer instruments equate ownership with control (here we disregard the real risk of censorship, especially when dealing with centrally-issued proxy tokens). Yet, when physical assets or objects are tokenized (proxy) the story is substantially different from its utility token counterpart, as ownership without control may be pointless. And this is precisely the reality we are in and trying to figure out today. We currently lack sufficiently advanced technology to enable not only proof of title, but also control of physical property. The basic concepts, however, have already been laid out by Szabo in his piece “Proplets — Devices for Controlling Property”. “To control physical objects with digital protocols”, the goal of proplets design, according to the author, will allow for the complete fulfillment of the promised tokenized economy, powering the distributed ownership and control of digital and physical assets alike, on-chain and off-chain assets. Understanding what is in fact owned and whether it can be controlled is paramount for market participants (and regulators, too) to discern sound opportunities and counterparty risks in the digital age. When you hold your bitcoin private keys, there’s no reliance on third-parties or authorities — apart from the network itself. Considering Bitcoin’s history, nearly a decade-long track record, robust developer community, self-validating full nodes, miners, leaderless nature, and several other factors, it could be argued the project stands today as the role model for decentralization. If you disagree with this observation, just replace the name Bitcoin with the project you perceive as more decentralized. As we move away from Bitcoin and look at the myriad of tokens created in the past few years, decentralization becomes more tenuous or even non-existent. Understanding and identifying parties in a given token-protocol is crucial to gauge its level of decentralization or, the opposite, the level of dependency on certain actors. For instance, even though an ERC20 token runs on a decentralized network (Ethereum), there might be a very specific set of developers whose technical prowess dictates the project’s chances of success. It might very well be a utility token, but with a high level of dependency on particular actors. With proxy tokens that have an unequivocal issuer, there inevitably arises the question of counterparty risk. Royal Mint’s RMG token is illustrative. It’s a bearer certificate, or claim, against Britain’s Royal Mint. This is not much different than it has always been, only now we have a digital representation that is more “streamlined” on the blockchain. Part of a token holder’s due diligence is determining who the counterparty is and whether the possibility of recourse is present, and it has always been so, blockchain or not. Developers may undertake a duty to develop a utility token, but issuers of proxy tokens might actually have a legal responsibility to redeem or deliver on whatever is being tokenized. This of course is natural, but this is the frame of reference that the legal world needs to be thinking from, because this is the world that is coming. So while a utility token may display all the features of blockchains (i.e. decentralized bearer instruments, digital assets, etc. ), a proxy token might enjoy only the “bearer” aspect within a distributed global network, with none of the trust-minimization characteristics of blockchains. In this sense, some tokens are assets in the truest sense of the word — they are nobody else’s liability (such as a bitcoin). Others, however, can be considered an asset if you hold it, but a liability for its developers or issuers. As a final topic of concern, the tokenization of assets — such as equity tokens, debt tokens, derivative tokens, the usual financial instruments traded on capital markets as ledger entries under one bank or broker’s control, but now circulating as tokens — introduces a feature which should not be neglected: bearer instruments. In a tokenized world, a digital bearer stock is held by its rightful owner through possession of private keys. But what happens if these keys are misplaced, stolen, or lost forever? Does the shareholder have any recourse? Or will we make good on the word “shareholder”: he who holds shares holds ownership, but he who holds nothing owns nothing at all? If a bearer instrument world does emerge from digital, global tokens, this could indeed bring many advantages and opportunities. However, it reintroduces old paradigms — namely the prerogative to truly hold one’s assets — and this comes with new challenges, such as recourse in case of loss or theft. How this is addressed by developers will determine how successful the tokenization of assets will play out in the future. We leave this as an open question, an extremely important technological, legal, and economic one. Although “electronic cash”, “digital cash”, and “cryptocurrencies” are pervasive terms throughout the industry, we contend that these words cause more confusion than comprehension. Allow further explanation. The predominant view holds that currency or money (terms which we’ll use interchangeably henceforth), both in academia and in colloquial usage, is a creature of the state (“State Theory of Money”). Something either is or isn’t currency, and the law makes this distinction crystal clear. By this reasoning, digital currencies are obviously not currencies anywhere, and only fiat currencies are indeed currencies. According to this predominant view, money is whatever the law says it should be, and there is no jurisdiction defining these tokens as money — Germany defined Bitcoin in 2013 as a “private unit of account”, Japan as a “legal payment system” in 2017. Now from the perspective of economics, the prevailing monetary theory claims that money should perform three classical functions: medium of exchange, store of value, and unit of account. Since bitcoin (and every other cryptotoken) doesn’t fulfill these roles in any satisfactory rate, then it can’t be money from this perspective either. “I have always found it useful to explain to students that it has been rather a misfortune that we describe money by a noun, and that it would be more helpful for the explanation of monetary phenomena if money were an adjective describing a property which different things could possess to varying degrees”. This property was named “moneyness”, a term coined by another Austrian economist, Fritz Machlup. As for the matter at hand, and for the same reasons, we consider it also a misfortune that cryptocurrencies are a noun and not an adjective describing the degree of moneyness cryptotokens may present. Whether we call it electronic cash, digital currency, or cryptocurrency, bitcoin is first and foremost a digital asset, a digital commodity, a digital good. It was conceived and programmed to behave as a scarce electronic good, mimicking the properties of a millenary commodity like gold. This is a monumental achievement in the history of monetary and computer science, as Bitcoin’s inventor managed to create something scarce with no trusted third party, out of something that is not scarce (bits and bytes). Comparably, this is orders of magnitude more effective as an impediment against forgery than any centralized institution could achieve throughout the history and evolution of money. Consequently, Bitcoin’s main utility is serving as digital gold (for now we leave aside the “Store of Value” versus “Medium of Exchange” debate, as that concerns future adoption and is irrelevant to this crucial point). So as far as moneyness is concerned, Bitcoin certainly is a store of value, and as it and other cryptotokens increase in liquidity, acceptance, and become a more commonplace method of paying for goods and services, their moneyness may deepen. With the smart use of technology, coupled with the growing tokenization of assets, this notion of moneyness will likely be exacerbated in the future, since in a tokenized economy trading and paying with cryptotokens can be much more common than we currently utilize. To summarize and in striving for a rigorous definition of cryptotokens, we should avoid typifying them as “cryptocurrencies”. Bitcoin and most others in fact all fit nicely under the umbrella of “utility tokens”, which may or may not be used as currency, regardless of their eventual degree of moneyness. One level up: is it a security then? In an incredibly candid and lucid speech that epitomizes the complexities and challenging nature of this growing field, SEC commissioner Hester M. Peirce noted, “First, while the SEC has considerable expertise in applying the Howey test, the first step in applying that test properly is understanding to what we are applying it.” (emphasis ours). We couldn’t agree more with this view, as it is precisely the main rationale behind this piece, that is, to provide a better understanding of the economic essence of cryptotokens. Commissioner Peirce deserves praise for her stance, for acknowledging the difficulties in grasping this technology requires a good dose of humility and self-awareness. Much of the confusion in the industry stems from prematurely defining cryptotokens through the false dichotomy of utility versus security, as if both terms referred to possible technological forms. Unfortunately, the hasty pursuit to classify tokens in either camp has only amplified the problem. Security is a legal definition which may vary from jurisdiction to jurisdiction. In most countries, the several types of instruments deemed to be securities are listed in local legislation. Sometimes, however, innovative assets may emerge, prompting legislators and regulators to analyze whether this new form of investment may fall under the purview of securities law. In the United States, this is where the Howey test comes in. In other nations, this legal analysis might differ considerably. Therefore, a subdivision labeled “security tokens” is completely misguided for at least two reasons. First, the problem in naming a token category “security” is that you implicitly classify every asset under this division as a security and risk inviting unwarranted regulatory scrutiny that varies vastly across jurisdictions. Secondly, you might classify others as utility tokens or app tokens, leaving the impression they’re clearly not a security, when, in fact, regulators (in one or more jurisdictions) could conclude the very opposite. “Utility tokens” versus “proxy tokens”, however, say nothing as to the jurisprudence of securities law, as, we believe, any attempt to classify cryptotokens should refrain from doing. This duty is, for better or worse, up to the regulators. Tokenized equity and debt instruments are obviously securities and it’s senseless to argue otherwise. Nonetheless, there might be utility or proxy tokens which require further investigation from regulators, as has been the case with ether, recently deemed not to be a security in a speech by SEC director William Hinman. As for tokens which are clearly not securities, considering them simply commodities perhaps is a sensible approach for regulatory purposes. This article is not an attempt to define if something is or is not a security, but rather to further understand and provide an economic latticework of cryptotokens. As has been explained at length, there can only be two types of tokens in the future blockchain world: utility tokens, and proxy tokens. A utility token is a cryptotoken that is demanded and valued for its own utility. It is the final good and represents no underlying asset or object other than itself. Common token names within this division are: cryptocurrencies, app coins, dapp tokens, platform tokens, fuel tokens, digital collectibles, digital resources. A proxy token is a cryptotoken that derives its value from an underlying asset, object, or contract logic that it represents. A proxy token is not the good itself, but purely a digital representation of the underlying good or contract. Common token names within this division are: equity tokens, security tokens, bond tokens, natural asset tokens, tokenized certificates, smart contracts. Therefore, from an economic perspective, the dichotomy “utility token” and “proxy token” provides a more simplified, more straightforward, yet more accurate classification of cryptoassets. A token is either a good in and of itself, or a digital representation of something else, where there’s an underlying asset, good, object, or contract, with or without a centralized issuer. The definition herein, obviously, does not discharge regulators from legally classifying whether these new instruments are securities, but we hope it helps in eliminating much of the confusion and loose terminology in the industry, in order for the whole ecosystem to better understand the entire point of what is happening here. The economic essence of blockchains lies in entirely new worlds of cooperation and efficiency compared with today’s systems, and this cannot be overlooked or shoehorned into something like financial securities regulation, and certainly not in any one country’s financial securities regulation, as big or powerful as any one country may be. Possibly, this may serve as a starting framework from which to address this growing and fascinating market, for investors, entrepreneurs, and regulators alike. Special thanks to Felipe Sant’Ana, Alex Van de Sande, and Helena Margarido for useful comments and suggestions on an earlier draft. We would stress that some smart contracts and some security tokens could take the form of a utility token, and not a proxy token. A likely candidate would have been the DAO project, short-lived as it was (a token which incidentally had both smart contract and traditional security-like characteristics), as it did function in a digital mash of financial- and investment-like economics completely native to its own network, with on-chain voting and payouts, all done with DAO and ETH tokens. As such, we could classify the DAO as an example of a utility token, sub-category smart contract. However, for simplicity’s sake, and as the blockchain world has shown to not be nearly advanced enough to live up to these promises, it is more clear to leave smart contracts and security tokens classified under the purview of the proxy token umbrella, using the examples provided in this article (think Szabo’s proplets). Fedcoin. In the table above, we included Fedcoin (or any central-bank issued digital currency) under both divisions, as a utility token and a proxy token. How can it be in both categories at once? To answer this question, we must understand what a Federal Reserve note is (what we usually call US dollars, paper-money, or cash). A Fed-note is confusingly a bearer asset as well as a bearer liability. It is a claim to an underlying asset which can be redeemed on demand; however, that asset for the holder is a liability for the central bank. It is thus also the central bank’s perpetual, on-demand liability, which never expires and any holder can claim on. But what is the underlying asset that the holder can claim from the Fed? Well, Fed-notes. Wait… what? Yes, paper money issued by central banks are sui generis assets and liabilities in that they can be redeemed for themselves. The Fed can also print as many of these notes as it wants, no limit whatsoever. A central bank has the obligation to exchange its notes for other notes when requested by any claimant. In the past, this used to make actual sense, in that the underlying asset being claimed upon was gold or silver, when national currencies were actually backed by a commodity. But we’re almost 50 years completely over this monetary standard now. Federal Reserve notes are backed by other Federal Reserve notes, and can be redeemed on demand… for more Federal Reserve notes. There are other nuances and it is true that Fed-notes are legal tender and derive their value from the “full faith and credit of the United States (or other sovereign) Government”. But, a Fed-note is still a liability — however unconventional it may be — and an asset at the same time. You may think we’re engaging in circular reasoning. And you’re right… but that’s how fiat money works. A fiat note is a liability issued by the central bank whose underlying asset is the very same liability which it has issued and can issue more of, ad infinitum. Now coming back to Fedcoin… well, it’s simply a Federal Reserve note in digital form, and as such would be an asset in and of itself (a utility token) as well as a representation of its own underlying asset (a proxy token).